2 Bedrooms / 3 Bathrooms : Queen, 2 Twins, Queen Sofa-Sleeper. 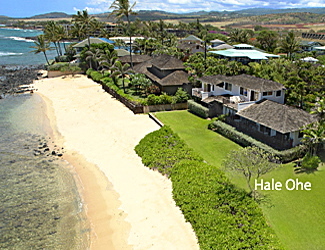 POIPU BEACHFRONT COTTAGE VACATION RENTAL: The Hale O’he (Bamboo House) is twenty feet from an intimate white sand beach. 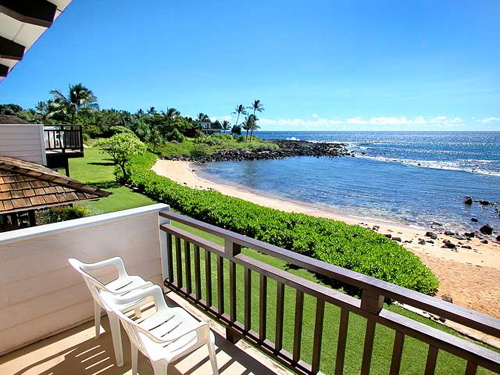 The 2 Bedroom and 3 Bath House is all one level and has lanais which invite you to relax and enjoy our beautiful Hawaiian sunsets. 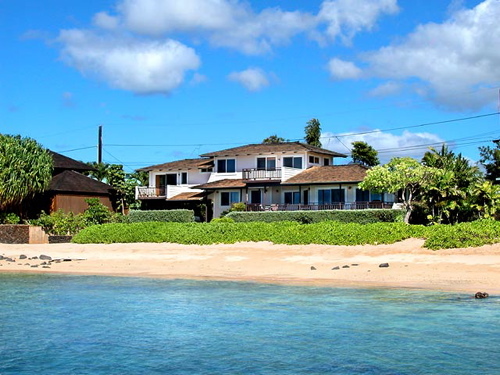 “A Smith-Waterhouse Beach Home”, this home is located on property that has been in the family since 1850. Learn about this missionary-doctor family history in the book, 100 Years of Healing by Evelyn Cook.